Over at the ABC Christmas Challenge Blog, we are up to the letter K. It's my 2nd and last week for being a Guest Designer. My friend Lacey is hosting the challenge this week. K is for make a card or gift card for a child. We have two incredible sponsors this week. Paper: Unknown supplier, but perfect for this image! Accessories: May Arts Ivory Satin Pleated Ribbon, Burgandy Pom Pom Trim, SU Hodge Podge Hardware-Vanilla. Awww...This is such a lovely creation Heidi! Love that image!! I just wish that i could whip up some x-mas feelings and try to put together a card...But Noooo... I'm probably sitting the night before in panic and creating...like last year...and the year before...*lol* Have a great day! Hugs & Sunshine! Heidi love your super cute tag! its something that I never thing of making in advance but Hmmm note to self! make some lovely tags! hope their some where nearly as nice as yours! Beautiful, gorgeous card Heidi and love the sweet image. This is fabulous Heidi - love all the candy canes! Awesome tag, Heidi and lovely image. 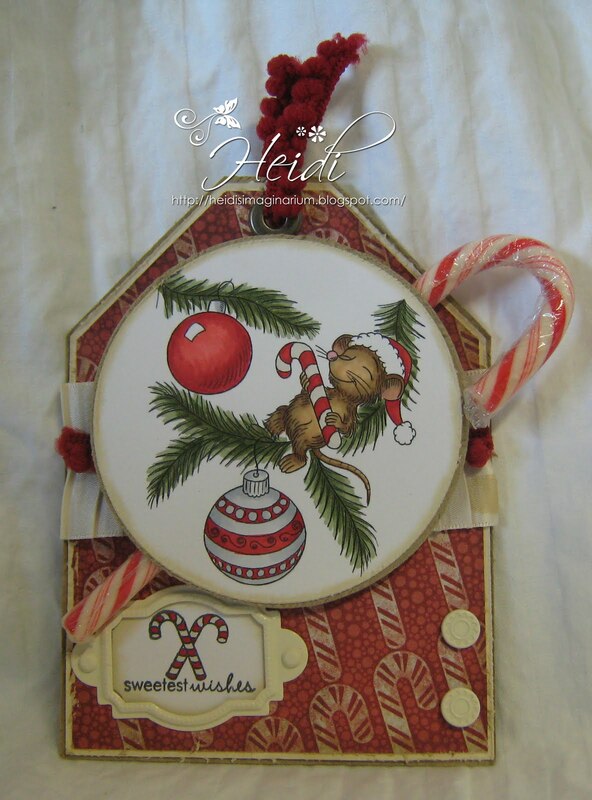 Thanks for joining us as a guest designer at ABC Christmas Challenge. Hi Heidi, Awesome tag and such a sweet little image.